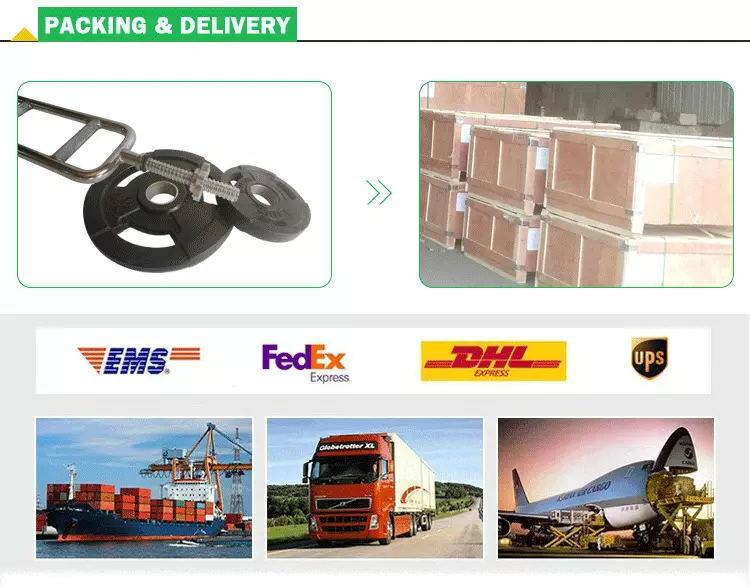 Our products including: Dumbbell, Barbell and bar, Cast iron plate and Chrome plate, Fitness Equipment, Dartboard, Medicine ball, Gym ball, Jump rope, Jump step, boxing equipment, Hand grips, Yoga mat, Exercise mat, Tour mat, Wrist/angle weight, Protection, Expander, Trampoline, AB fitness, Foam roller and so on. 1. Professional service: We could to be friends. 2. Low MOQ: It could meet your exact needs. 3. Fast Shipping & Good Price: Good relationship with Shipping Company,get better discount. 4. Quality guarantee: Checked all items before send to you. High Quality Barbell Weight Plates, include Kg/LB Change Plates, Fractional Change Plate, Competition Plates, Training Plates, Standard Weight Plates and so on. Looking for ideal Cheap Barbell Weight Plate Manufacturer & supplier ? We have a wide selection at great prices to help you get creative. All the Custom Barbell Weight Plates are quality guaranteed. We are China Origin Factory of High Quality Barbells. If you have any question, please feel free to contact us.